Number of chilies depend on how spicy they are. I am not using coconut while grinding. You can add it if you want to make your gravy thick. 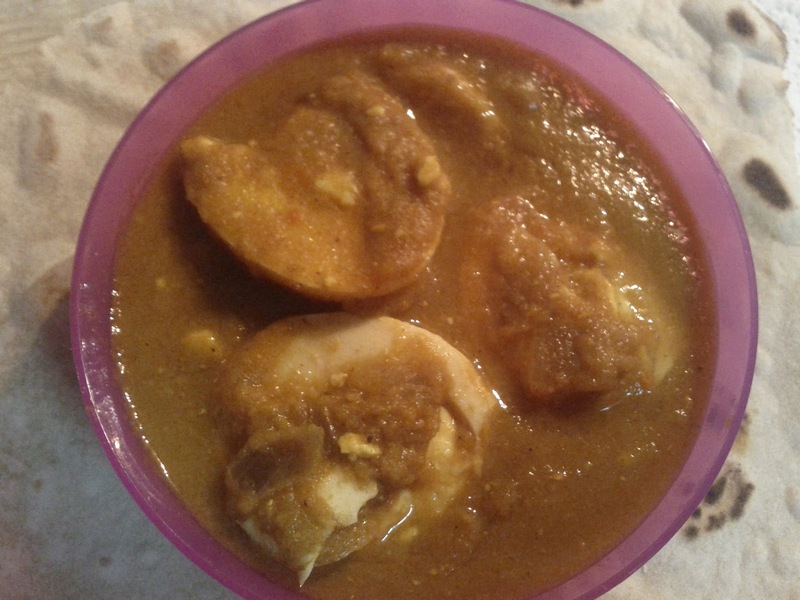 Cutting the egg half instead of full will make the gravy to panetrate inside the egg and gives you that taste. Boil the eggs and peel the shell off after it cools. Can split / cut the eggs into 2 equal halves or can use full egg. Make a paste of above mentioned ingredients. Heat a oil in a pan. Add the grinded paste, salt. Once it boils and starts to leave oil, add all the above mentioned powders and mix well. Now add eggs and allow it to boil for 3-5 minutes. Switch off the flame and serve hot with plain rice, chapathi or parathas.